Living in The Hague means living in the only large Dutch city by the sea. It takes just 15 minutes on the tram from the city centre to breathe in the fresh seaside air or a quick post work swim. With 10 kilometres of sandy beach nearby it is no wonder The Hague is such a popular place to live. Tempted? Here are three unique property developments currently being realised by leading national developer and builder, VORM, in various parts of the city. De Stadhouders complex is named after several important city leaders from the 17th century. 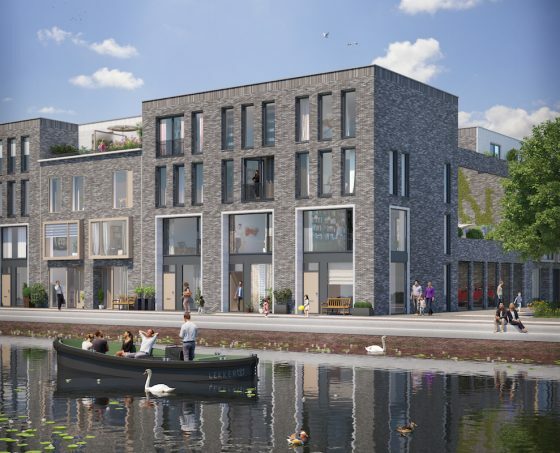 The project is being constructed on the border of the popular Statenkwartier and Duinoord city districts, which is one of the most sought-after living and working locations in The Hague. 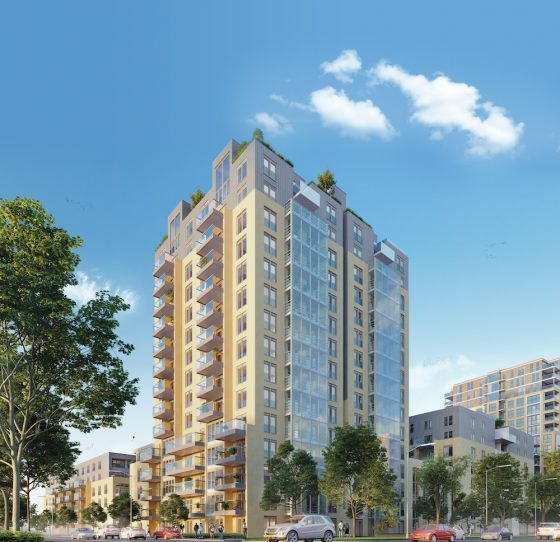 This new residential complex consist of three buildings, one for each of the stadhouders. The inner courtyard will be transformed into a green and car-free city square. Apartments in the tallest of the three buildings, Frederik Hendrik, are currently up for sale, while the other two buildings will be developed over the next year. In total, 260 new homes are planned in this development, all combining the luxury of a hotel with the relaxation of your own space. 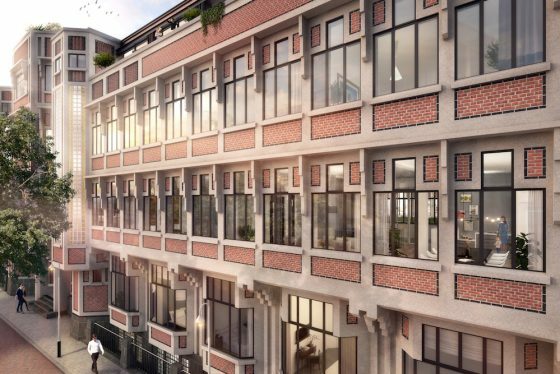 The beautiful and listed Berlagehuis in the heart of The Hague is in the process of being completely transformed into a residential accommodation. As a national heritage site, the building benefits from a stunning entrance hall, beautiful communal areas and high ceilings with interesting architectural details. The 57 stunning new homes will preserve the exceptional qualities of the building. Every home will be unique and will be available as town houses, apartments and penthouses. Parking is available on the site. There is even an opportunity for new homeowners to purchase a separate studio or atelier in the building, perfect for people who want to pursue a creative lifestyle or who want to have extra storage space or lay down an extensive wine cellar! Of course, the location of the Berlagehuis in the heart of the city is perfect, as it is close to all amenities. Access to public transport is good and motorway connections are within easy reach. Find out more. Binck Plaats (Binck Place) is part of a larger development project in the Binckhorst, situated on Voorburg side of the city. The site, which was previously home to a large industrial warehouse complex, is to be transformed into 46 spacious family homes. The homes vary in living space at between around 164 m2 and 186 m2 across three or four levels. The homes lend themselves to a number of uses, with the ground floor providing ideal work/living spaces, and first floors being offered in a range of depths. Upper floors can be used for bedrooms or bathrooms, and properties benefit from gardens up to 15 metres deep. A garage is included in the development and homes offer views of the neighbouring waterways and open green spaces. Building is due to start in the middle of 2018 and properties will be ready to move into towards the end of 2019. Discover more. VORM is a national developer and builder. We concentrate on locations where people love to live, both inside and outside of our towns and cities. Lively neighbourhoods, beautiful streets, and beloved architecture all play a role in projects that give people a real feeling of ‘coming home’. With a focus on sustainable and responsible projects, as well as the possibility of arranging finance and insurance, VORM can help you make your dream of a new home into a reality. If you would like to find out more about one of these unique developments in The Hague, click on the links to register your interest and we will keep you informed on the homes under construction and about open days. You can visit VORM at their stand at the Woonbeurs The Hague on October 28. Here you will find all their projects and can ask any questions you might have. You can comment on this article on our Facebook page.